Military - Каталог статей - Microsoft's Fly! An important element of the Russian air defense system is the long-range interceptors MiG-31. This technique is being modernized from time to time, but in the long term will need to be replaced. To this end, work is already underway to create a promising interceptor capable of replicating the capabilities of the MiG-31, and also surpass it in some parameters. Recently, new information about the progress of this project has appeared. By analogy with other new projects of aerospace engineering, the next sample is designated as "Perspective long-range intercept aircraft complex" (PAC LRI). In addition, from a certain time in open sources the name MiG-41 appears - it reminds of an existing interceptor, but at the same time it points to the novelty of the project. A few days ago, the PAC LRI / MiG-41 project again became the subject of official statements. Overview of the possibilities of a new modification of the legendary Su-25 "Rook"
Attack aircraft Su-25SM (on the NATO codification Frogfoot, "frog's foot") - this is a modernized version of the single-seat Su-25 attack aircraft. The car features updated avionics, the addition of an indicator on the windshield and a multifunction display in the cockpit. Since September 30, 2015, Su-25SM planes have made combat sorties against terrorist groups in Syria, acting as part of the mixed air group of the Russian Air Force. ATN-51 "Black Plague" - the newest Russian fighter. Technical characteristics and function. Recently, the media reported that Russian military designers have begun work on the creation of the newest Russian fighter - ATN-51 "Black Plague." The device, technical characteristics and purpose of this flying combat vehicle is described in the article. Talking about the latest Russian combat aircraft, you can not ignore the Yak-130, which since 2011 is serially produced at the Irkutsk Aviation Plant and is successfully operated by the Russian Air Force and abroad. 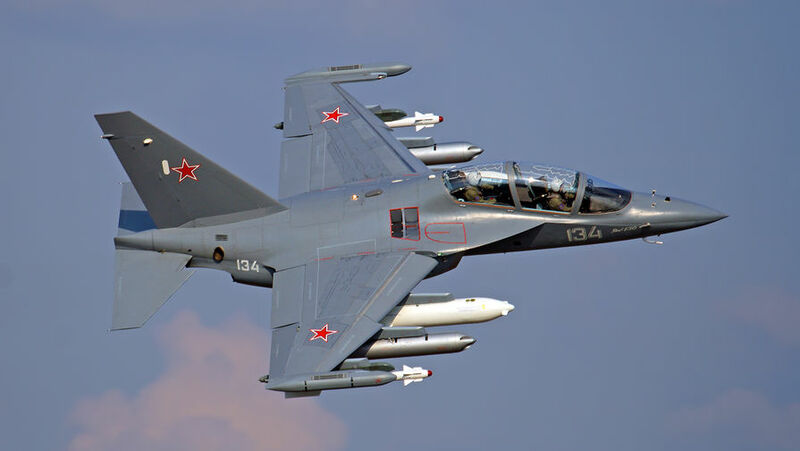 Yak-130 (on the codification of NATO: Mitten - "Rukavitsa") is a Russian training and combat aircraft developed by the Yakovlev Design Bureau together with the Italian company Aermacchi for the replacement in the Russian Air Force of training aircraft L-39.